The Movie Sleuth: Opinion: The Heathers TV Series Reboot Is Dead – How Very. Opinion: The Heathers TV Series Reboot Is Dead – How Very. After a very rocky, controversial journey towards the screen, it appears that Paramount's TV series reboot of the 1988 cult classic film Heathers has downed a cup of liquid drainer and died amid the wreckage of its coffee table. 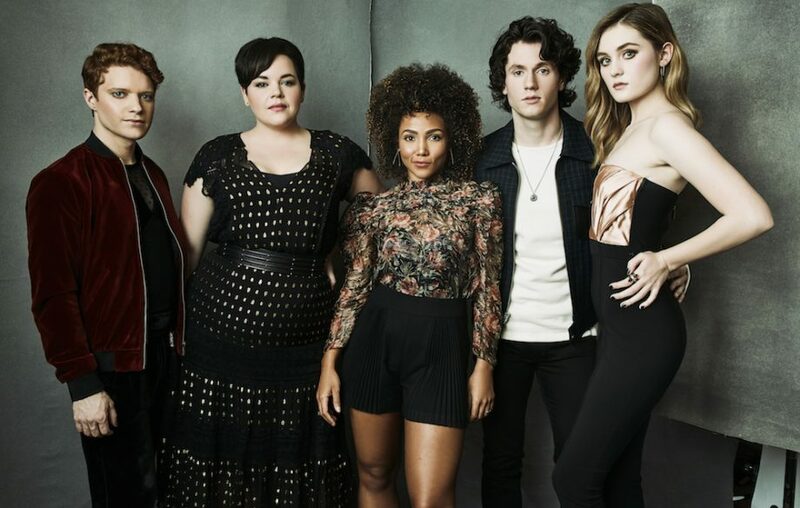 The already-completed show – allegedly the first season of a wannabe-Ryan-Murphy anthology series in which subsequent seasons would have followed different ruthless cliques in different times and places – was originally set to premiere in March, but was pushed back to July following the Parkland shooting, which left the studio understandably skeptical about a comedy centered around the murder of high school kids. Now Paramount has announced that the show is being shelved altogether, and they currently have no plans to air it at all. And honestly, as someone who has considered Heathers to be one of their all-time favorite movies since I was fourteen, I couldn't be happier. This is a reboot that the world absolutely did not need, and one that is probably better off dead – though not for the reason that Paramount Network killed it. Over the years, on the many occasions when I have introduced Heathers to people who have never seen it before, I have commented that it is a film that could absolutely never be made by even a semi-major studio in this post-Columbine era; the subject matter, and the handling of that subject matter as comedy, would almost certainly scare most production companies and distributors off. I was honestly quite surprised when Paramount announced that it was making a Heathers series, and completely unsurprised when they announced that it was delayed, and now shelved. There is no doubt that in an era when school shootings are tragically, infuriatingly common, making a comedy in which high school mass murder is a looming major plot point is a very tricky, controversial proposition; to say that it could easily end up being a bad idea that touches a real social nerve is an understatement. But that in itself is not why this series probably shouldn't air; far from it. The subject matter requires serious care and thoughtfulness in its writing, but if handled right, it could be a very relevant, conversation-starting social commentary. That's exactly what the original film is, because it is written so intelligently, with such cleverness, comedic elegance, and genuine empathy towards the socially hellish experience that high school is for many kids who are bullied or feel like outcasts. It's not a murder fantasy or a piece of exploitation, but a sharp-witted social satire which is not only still relevant thirty years after its release, but possibly even more relevant than ever in this era when violence all too often invades our schools. If Paramount's TV series looked like it was going to be anything even close to that, it would really be a shame that it is getting buried simply because it might touch a nerve that's too close to our current reality; touching a nerve is something that the film does very deliberately, and more to the point, for good reasons. The film isn't just being controversial for the sake of it, and it isn't trying to be a manufactured “shocking” cult classic; its take-no-prisoners approach to satire is utterly genuine and authentic, and therein lies its power which is so undiminished after three decades. Also therein lies the main reason why this reboot appears to have very little merit, and appears to be a huge, bizarrely reactionary slap in the face to everything that its namesake film succeeds in doing. Of all the (dare I say) myriad reboots of beloved 1980s films, this Heathers series appears to be one of the most shamelessly calculating in its transparent desire to monetize nostalgia, due to how little it seems to understand the film it is adapting, or what the point of it was. In the original Heathers, a disaffected outcast (Christian Slater) and a popular girl who secretly hates the wanton cruelty of her social-hierarchy-reinforcing peers (Winona Ryder) fall in love and team up to enact some much-deserved justice on the popular bullies of their school; but while she is merely looking to play some humiliating pranks to even the score, she doesn't realize that his goals are a bit more... permanent. Together they represent both the outcasts who are on the receiving end of bullying and social shunning as well as those who have experienced the game of high school social circles but see it for the pointless and petty cruelty that it is; unless you yourself were one of the popular bullies, or the “Heathers,” in your high school, the film in eminently relatable. Crucially to these themes, the Heathers and their jock counterparts very much represent the dominant power group in both high school and, sadly, America at large: privileged, glamorous, beautiful, straight white people, who stomp all over anyone who is different, to leverage their own privilege and further their own gain. It is high school politics as a microcosm for our unjust society (as JD himself says in one of his memorably unhinged monologues), and it isn't actually advocating violence as a solution, but bitterly screaming the arbitrary unjustness of it all into the void. This TV series, on the other hand, bizarrely inverts everything about that premise in a way that not only seems to completely miss the point, but seems to warp the film's empathy into a cruelly reactionary, almost alt-right-seeming perversion of it. The series presents a vision of high school where the social hierarchy has been reversed: the outcasts have taken over and become the popular kids, and the groups that once would have been popular are now picked on. The Heathers this time around are a plus-size girl, a genderqueer person, and a black lesbian, and they are the ones picking on everyone else; which means that over the course of the season, they will be framed as “deserving” revenge from a couple of pretty, skinny, straight white people, and at least one of them will be murdered by them. That is messed up. That is several varieties of messed up. At face value, it seems to feed right into the alt-right extremist narrative that white straight people are endangered and being oppressed, and that said white straight people need to “take their society back,” and (dare I say it) “make America great again.” It may have been Parkland that got this show shelved in the first place, but it is the Toronto van attack, in which the mass-murderer was a self-identified “incel” waging a misogynistic war on a society he claims oppresses men, that makes this premise sound not only wildly ill-advised, but potentially dangerous to propagate. Of course, I assume that this is not the show's intention, but that no one realized that this undertone is fairly obviously there just goes to show what a poorly thought-out, opportunistic reboot this is. The premise seems to come from a perspective that is either naïve or oblivious, that we're living in an age when people are no longer bullied for their weight, sexual orientation, gender identity, or skin color, and thus high-school bullies can now be equal-opportunity without regard to those factors. The problem, of course, is that that simply is not true. A quick look at the world around us shows that not only is that obviously not true, but that the strides we have made in equality since the film's release have prompted an even more violent and vitriolic backlash from certain segments of society. Yes, society at large has made significant strides in thirty years terms of LGBT and racial equality and body positivity, but it is equally true that hate-crimes are on the rise, and depending on where you go, it is sometimes more dangerous than it has been in years to be an LGBT person or a person of color. We are still a LONG way away from a world in which it would be believable for the queer, black, nonbinary, and overweight kids of a suburban high school to be the most powerful and ruthless clique around, rather than the ones being bullied by that clique, and for the show to suggest otherwise indicates that it is either coming from a very Trumpian perspective, or is hopelessly out of touch with the reality that marginalized teenagers (or marginalized anyone) still faces. And that JD and Veronica are still being portrayed as traditionally “normal” and “ideal” beautiful skinny white people just completes the glaring impression that this show is courting an alt-right revenge fantasy. The show's creator, Jason Micallef, pushed back against this interpretation before its intended March release by saying that Veronica and JD are not supposed to be the heroes of the story; they're supposed to be the villains, and the Heathers themselves are, if not the heroes, the antiheros we're still supposed to like. “The main thing to really take away is I don’t view the Heathers as the villains,” he said in a January interview with Entertainment Weekly. “The three Heathers are incredibly powerful and ruling the school; they’re the people you would want to be. In the original film, the Heathers were the ones I always loved, and it’s the same with the series. The Heathers are the aspirational characters.” Wow. Congrats, Jason – you completely missed the entire point of the film, in which Heather Chandler unequivocally is the villain, even from beyond the grave. 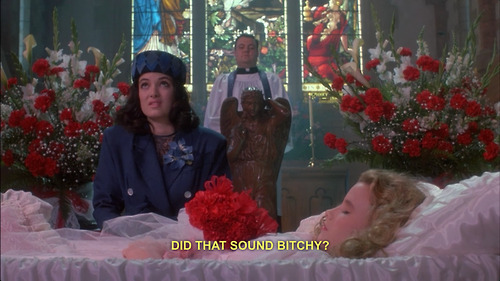 Yes, Heathers Duke and McNamara eventually become more sympathetic as the film goes on, and yes, JD eventually becomes a villain in the last act, but the film is purely aligned with Veronica Sawyer as our hero the entire time, as should the audience be. The Heathers are absolutely not aspirational characters in the film; they are the characters we should aspire to never be. That Micallef doesn't understand this, and has apparently created a show in which the cruel, bullying clique members are the sympathetic characters, seems to indicate that he himself is more than a bit of a Heather, in the original film's sense. F*** me gently with a chainsaw. Micallef's Heathers appears to be a show that America in 2018 really does not need; not because of mass shootings per se, but because of the alt-right, MRAs, incels, and similar dangerous fringe groups that the show's “now it's the average white folks being bullied by everybody who's different” premise seems to feed into. That the show is apparently not doing this intentionally doesn't really help its case; this appears to be a piece of media so eager to jump on the '80s nostalgia bandwagon that it honestly has no idea that its premise is a completely toxic inversion of everything the original Heathers stands for. I would not be surprised if no serious thought at all was given to what this show was actually saying, because it was too busy trying to strike while the money-making iron was hot. 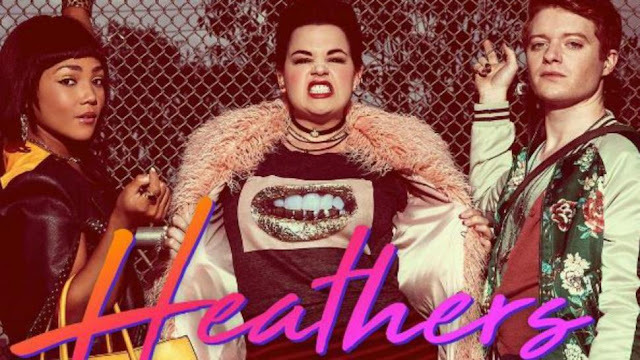 And of course, while this reboot looks exceptionally awful for all of the reasons outlined above, the simple fact remains that we do not need a Heathers reboot of any kind: while that film is in many ways potently steeped in the 1980s, it is still extraordinarily relevant in its social satire, and it is still as sharp-toothed and savage as ever. It is one of those once-in-a-lifetime pitch-black comedies that pulls off an incredibly difficult balancing act which could hardly be repeated, let alone improved upon. It is definitely best that its cult-classic legacy not be tarnished by an inferior reboot, let alone a reboot like this which appears to not only aggressively miss the point, but invert it in what looks like a very toxic way. I'm sure it will see the light of day eventually, likely quietly dropped onto an on-demand platform without much fan-fare, but personally, I think it's just as well that this new generation of swatch-dogs and diet coke-heads move right along to a boring afterlife off the air.